Senior Colonel Wu Qian: Friends from the media, good afternoon! 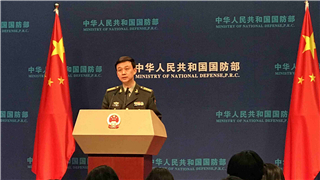 Welcome to this month’s regular press conference of the Ministry of National Defense (MND) of the People’s Republic of China (PRC). The weather is cooler in Beijing today, and we have provided some hot tea for you. Please serve yourselves. I have one piece of information to announce at the beginning. As was approved by the Central Military Commission (CMC), the multinational navy activities celebrating the 70th anniversary of the PLA Navy will be held in late April, 2019 in Qingdao. The activities will include a high-level seminar, an international fleet review, military tattoo performances, and cultural and sports activities. Up till now, over 60 countries have confirmed to send navy delegations to participate in the activities and multiple countries have confirmed to send naval vessels to the international fleet review. Question: We noticed that there were frequent contacts between the United States and Taiwan in the military field. 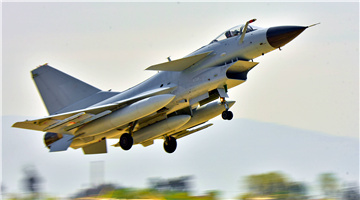 Some media reports say that a high-level military delegation from Taiwan is visiting the United States and the US might sell F-16V fighters to Taiwan. Meanwhile, two US ships sailed through the Taiwan Strait recently, and the US Secretary of State Mike Pompeo said that the United Stated will take more moves to implement the Taiwan Travel Act and many people of the pan-Green coalition in Taiwan interpret it as a sign of support for Taiwan. What is your comment? Answer: There is only one China in the world. Both the mainland and Taiwan belong to China and the People’s Republic of China is the only legitimate government of China. China’s sovereignty and territorial integrity allows no division. And my answer to your question is based on this fact. We noticed that the United States took a number of moves related to Taiwan. We are opposed to US’ arms sales to Taiwan and US military contacts with Taiwan. The Taiwan question is China’s internal affair and it concerns China’s core interests and the national bond of the Chinese people and allows no interference from the outside. The One-China Principle is a universal consensus of the international community and it is also the political foundation of the China-US relationship. Words or deeds that break the One-China Policy will undermine the China-US relationship. These are dangerous moves that serve neither the interests of China nor those of the United States. We also noticed the separatist remarks of some people in Taiwan. Here I want to stress that reunification is a trend of history and Taiwan’s secessionist movement is a counter current and a dead end. The One-China Principle is the political base of the cross-strait relations. Taiwan’s future lies in reunification and the well-being of the compatriots in Taiwan hinges on national rejuvenation. Those people and forces that instigate confrontations across the strait and blindly court foreign support have very little understanding of the greater good and will receive no support from the people. The motherland must be and will be reunified. We will strive for peaceful reunification with utmost sincerity and greatest efforts. However, against the interference of the external forces and the "Taiwan Independence" separatists, we will take all necessary measure to safeguard national sovereignty and territorial integrity and protect peace and stability across the strait. 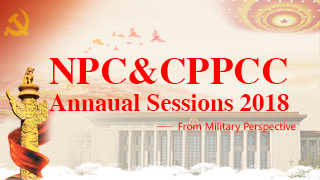 Question: When attending a plenary meeting of the delegation of the People’s Liberation Army (PLA) and the People’s Armed Police (PAP) during the 2nd Session of the 13th National People’s Congress (NPC), President Xi Jinping emphasizes the importance of implementing plans. What will the PLA and the PAP do to implement President Xi’s instruction? 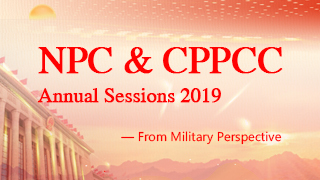 Answer: In his speech at a plenary meeting of the PLA and PAP delegation to the 2nd session of the 13th National People’s Congress, President Xi Jinping instructed the military to fully implement the 13th “Five Year Plan” for military development. President Xi’s speech is the direction and guidance for the military to strengthen itself and achieve the 2020 targets for defense and military development. Currently, the whole military is putting great efforts on the implementation of plans and we have seen increasingly strong momentum in this respect. In the future, there are five priorities. The first is responsibility implementation. We will have specific checklists for different departments and in different areas, seek down-to-earth fulfillment of responsibilities and ensure that all blueprints can be followed to the end. The second is to enhance system building. We will strengthen the coordination, integration and development of different systems, and capitalize on both military and civil resources to accelerate our work. The third is to have better coordination and cooperation among departments. We will build multi-agency joint consultation platforms and quick-response mechanisms to clear hurdles restraining the effective implementation of plans. The fourth one is to improve management efficiency. We will refine policies and institutions, strengthen overall arrangement of annual plans, streamline approval process, have better preposition of service support and build fast track for implementation. The fifth is to strengthen oversight. We will build evaluation systems, have more regular inspections and reviews, and enhance supervision and auditing, so as to form a synergy and lay a solid foundation for achieving the goal of building a strong military in the new era. Question: India successfully carried out an anti-satellite missile test for the first time, and has become the fourth country to complete the test after the US, Russia and China. The Indian Prime Minister Mr. Narendra Modi said that it was not directed at any county, but for self-defense purpose. What is the Chinese military‘s comment on this test? Answer: We have noticed related reports. We hope all countries can take real actions to protect lasting peace and stability in the outer space. Question: Some US media reported that HUAWEI is developing submarine cables for transmission of data, and the US government reckoned it to be counterintelligence and a security threat to the United States. Do you have any comment? Answer: On the submarine cables, I advise you to inquire HUAWEI. As for the speculation from the US side, this is either animosity or paranoia, which shows the anxiety and confusion of the United States. Question: I have two questions. My first question is, according to media reports, Chinese and Russian heads of state will exchange visits this year again. Please brief us on the current military-to-military relationship between China and Russia, particularly the highlights of exchanges and cooperation between the two militaries in the next step. My second question is, according to media reports, since the launch of the open online recruitment of civilian personnel in 2019, it has drawn great attention from the public and the public opinion has been highly positive. But some people on the internet also said that some non-popular civilian personnel posts have received very few applications. Please brief us on the situation of this year’s civilian personnel recruitment. Answer: Under the strategic guidance of President Xi Jinping and President Vladimir Putin, China-Russia military-to-military relationship has been running at a high level, adding impetus to the China-Russia comprehensive strategic partnership of coordination in the new era and providing positive energy for maintaining world peace and regional stability. 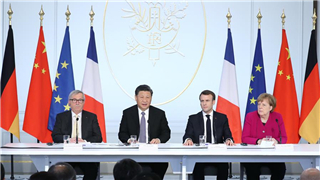 This year, the two militaries will continue to strengthen exchanges across the abroad and deepen cooperation in high level exchange, realistic training and international military competition. 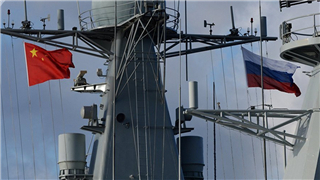 Recently the two militaries had the first expert meeting on this year’s China-Russia Maritime Joint Exercise. The second meeting will also be held in the near future, and we will release relevant information in due course. 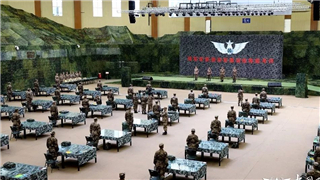 On your second question, to recruit outstanding public talents to serve the military development, the 2019 recruitment for civilian staff has officially started in accordance with the Regulation on the Civilian Staff of the Chinese People's Liberation Army and related policies. Currently, the online application has been completed. About 20,000 positions were open in this round of recruitment. We have received over 363,000 applications for 87% of all the posts, a 4 % increase compared to last year. On average, there are 19 applicants for one post. The single most competitive post has received 721 applications. Among the applicants, over 93% have college degrees and over 17% have post graduate degrees. 21% of the applicants graduated from "double first-class" universities in China or foreign universities. 53% are public talents. Meanwhile, over 55,000 people applied for posts in remote areas and 92% of open posts in remote areas received applications. According to the plan, the military will organize unified exams by the end of April. The exams will include common subjects and professional subjects. The guideline of the exams has been published on the Military Talent Website. Interviews, physical and political examination, comprehensive check and approval procedures will be finished before the end of September. To meet the demands of the military, the recruitment is mainly for professional and key positions as well as posts in remote areas. To improve the strength of civilian staff, one of the priorities is attracting high-quality talents based on the specific needs of positions. The number of open positions, application requirements, selecting procedures and results are all open to the public to ensure the transparency of the recruitment. Since the launch of the new Regulation on the Civilian Staff of the Chinese People's Liberation Army, we have witnessed increasing competitive advantages and efficacy of the new civilian staff institution. We welcome more public talents to apply for civilian posts and join the big military family. We hope to work together with them to chase our dreams and create the future. Question: The preparation for the 7th CISM Military World Games(MWG） is making steady progress and we noticed that there are many college students registered as volunteers, including some foreign students. What is your comment on their participation as volunteers in the game? Answer: Wuhan is becoming an open and international metropolitan city and we think it a good thing for college students, Chinese or foreign, to participate in the Military World Games as volunteers. Question: I have a question from one of our followers whose cyber name is Nanhai. Western countries such as the US always talk about China’s defense expenditure and hype up “China Threat”. As for this kind of cliché issues, how can China respond to them in a more convincing way? Answer: Thank you and your follower for the question. I want to clarify one thing first. It is a country’s domestic and foreign policy rather than its defense expenditure that decides whether it is a threat to others or not. China follows a defense policy that is defensive in nature and stays committed to the path of peaceful development. The growth in China’s military strength is also growth in global force for peace. Now let us analyze the issue in details. The total amount of China’s defense expenditure is big, but we have some specific conditions. First, China has a very complicated geopolitical environment. It is yet to realize national reunification and has arduous tasks in safeguarding national sovereignty and security. Second, China is and will take more international responsibilities and obligations and providing more public security products to the world. All these responsibilities also cost a lot of our budget. Third, the new revolution in military affairs in the world is accelerating. Like other countries, China also wants to follow the trend and make some accomplishments. Fourth, China is a populous country. If we look at the defense expenditure per capita and the proportion of China’s defense expenditure in its GDP, we can see both numbers are at low levels in the world. To conclude, I want to say China’s defense policy is clear and its defense expenditure is moderate and reasonable. In the mosaic of fluctuating international situations, Chinese military will always be a staunch force in protecting national sovereignty and security and maintaining world peace and stability. Please pass my question to “Nanhai”, asking him whether my response is convincing or not. Question: Recently, the US Pacific Air Force Command（PACAF）announced that two B-52H strategic bombers flew to the South China Sea in mid-March and returned to the base after completing their training mission. It was the second time for the US military to fly across the South China Sea in 10 days. May I ask what your opinion is? Answer: The Chinese side is firmly opposed to the US military's provocative actions in the South China Sea. We will continue to take necessary measures to deal with these operations effectively. The facts have repeatedly proved that the US is the real pusher for militarization in the South China Sea. Question: The 7th CISM Military World Games will be held this year. Can you brief us the progress of the preparation? Answer: The 7th CISM MWG will be held in Wuhan from October 18th to 27th. We have made certain progress in the preparation for the Games. First, the preparation and organization of competition program is progressing orderly. 39 game committees have been established and 37 MOUs have been signed with CISM concerning venues, technical standards for equipment and game organization. The second round of registration is concluded with 10,581 effective registrations from over 105 countries, including 7,840 athletes and 2,741 officials. The top 5 registered sports are athletics(63), shooting(58), judo(53), boxing(47) and taekondo(44). From April to September we will conduct simulation and trial operation of the competition process and test staff, facilities, working process and technical plans. Second, the construction of venues is progressing rapidly. Up till now, 8 of the total 35 venues are ready for games, 16 have been completed and 11 are under construction. The construction and repair projects will be finished by the end of this April. Third, better services support. We have selected 107 hotels which can provide 30,000 beds to 12 types of customers. We are making progress in the network security support, IT support, telecommunication support and information infrastructure by establishing the registration centre, the cloud computing centre and developing the digital service system for managing game information. The recruitment and initial training for the first batch of 12,800 volunteers have been finished. Question: Media reports said that an exhibition titled “Safeguarding World Peace: Efforts by the Chinese People’s Liberation Army (CPLA)” was held in the headquarters of the African Union (AU) recently. Could you brief us on the exhibition and its outcomes? Answer: As was approved by leaders of the Central Military Commission (CMC), the CMC Political Works Department and the Chinese Mission to the AU held an exhibition themed "Safeguarding World Peace: Efforts by the CPLA" in the AU Headquarters from March 18 to 22. The exhibition fully demonstrated the outstanding contributions of the Chinese military in fulfilling international responsibilities and obligations and maintaining world peace and stability. Representatives from the AU, African countries, African Stand-by Force (ASF) and Rapid Response Force (RRF), diplomatic missions of the UN, EU, and NATO to AU, as well as representatives from the US, UK, France, Japan and other countries outside the region participated in the exhibition. The AU said that it appreciates China's win-win partnership with Africa and China's great support for peace and security in Africa. It said that China’s partnership with the AU is an example for other countries in their engagement with Africa. After visiting the exhibition, many diplomats said that China plays a key role in safeguarding world peace and security and appreciated China's efforts in making the world a better place. They said the Chinese PLA is a great force for peace. 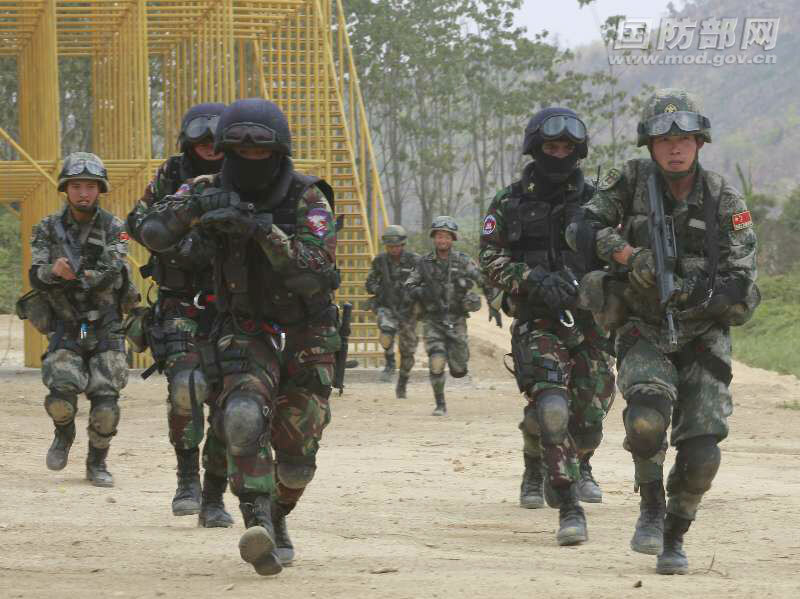 Question: A counter-terrorism exercise in mountainous areas under the “Dragon Gold 2019” joint training exercise between China and Cambodia was held in Kampot Province, Cambodia, on March 25. Can you brief us on the concrete achievements of the joint training exercise? What's the significance? 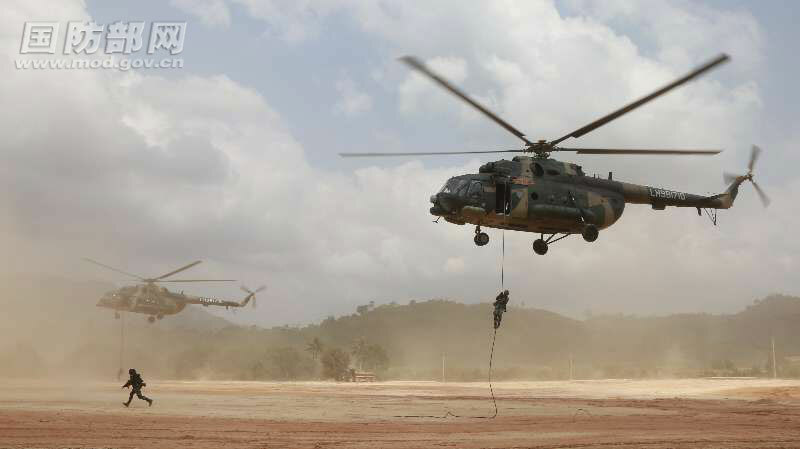 Answer: The “Dragon Gold 2019” joint training exercise between Chinese and Cambodian militaries was opened on March 13. 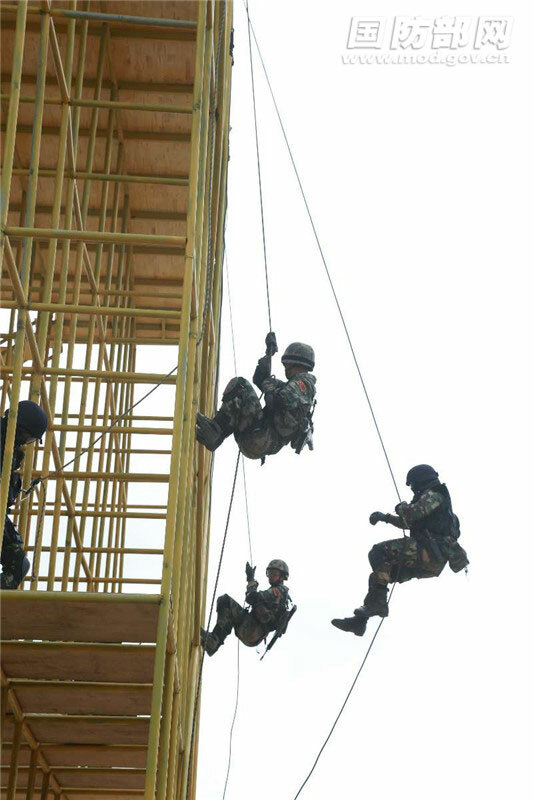 Under the theme of counter-terrorism and Humanitarian Assistance and Disaster Relief (HADR), the training is divided into 4 parts: namely skills training, tactical training, table top exercise and live-force exercise. Over 600 participants from the two militaries joined the training. The joint training is characterized by its outstanding jointness, professionalism and realistic scenario. Soldiers of the two sides have learned skills and experience from each other and built a profound friendship. 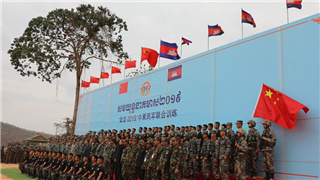 The “Dragon Gold 2019” joint training exercise is of positive significance to consolidating the long-established friendship between China and Cambodia, promoting China-Cambodia military-to-military relations and maintaining regional stability. To help you better understand the joint training, we have prepared some photos. Please look at the screen. The first photo shows soldiers from the two militaries cover each other to approach the enemies. The second photo shows Chinese and Cambodian special operation teams break into a room to rescue hostages. 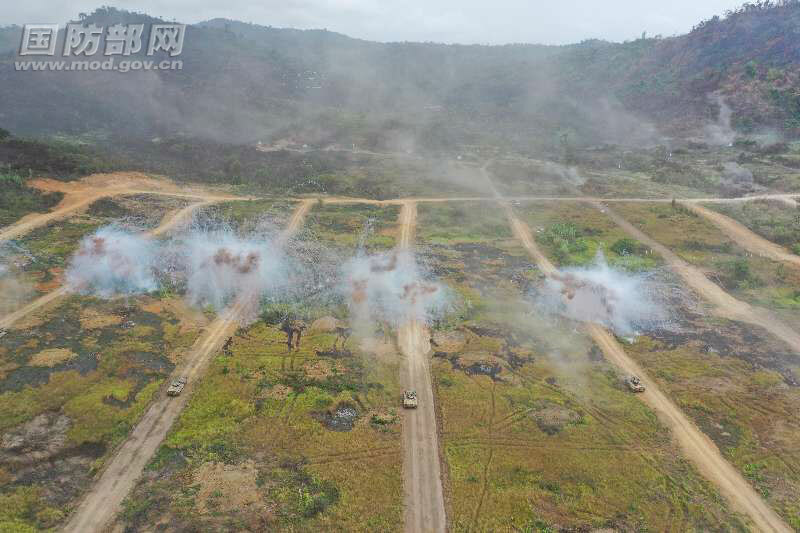 The third photo shows Chinese and Cambodian armament squads use smoke to cover infantry teams to clear remnant enemies. The fourth photo shows soldiers from the two sides conduct helicopter air-land training. 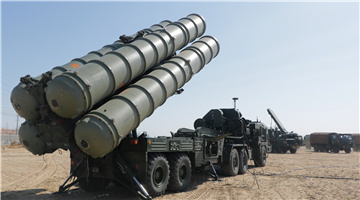 Question: Recently, when interviewed by the media, German Defense Minister Ursula von der Leyen said that China’s missiles are threatening the security of Russia and that China should join the Intermediate Nuclear Force Treaty. What is your comment? Answer: I have two points to make. First, the INF Treaty is a bilateral treaty between Russia and the United States. The Chinese side is opposed to the US unilateral withdrawal from the treaty and we are also opposed to making it a multilateral one. Second, China-Russia relationship is defined as comprehensive strategic partnership of coordination, which is running at the highest level in history. I think certain people in Germany should not be too worried about China-Russia relations and should not drive wedges between China and Russia. Question: We noticed that recently the PLA Army launched for the first time military training examinations for corps-grade commanders. What is the purpose of the examinations and can you tell us some details of the examinations? 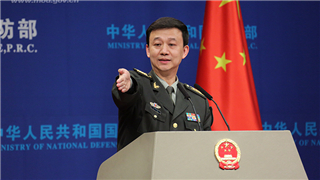 The second question is that days ago, the Chinese Defense Ministry spokesperson issued a statement as a response to the “China threat” remarks made by the US military. When attending a House hearing recently, the US Acting Defense Secretary Patrick Shanahan said China，as a major country，is the main competitor of the United States. Will this have negative impact on the mil-to-mil relationship between the two countries? Will the Chinese side invite Secretary Shanahan or other high-level US military officials to visit China? 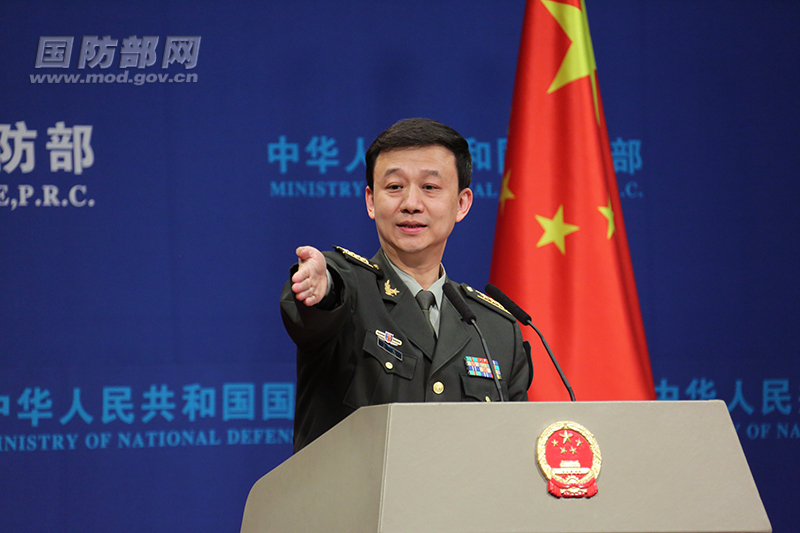 Answer: President Xi Jinping has emphasized many times that senior commanders should take the lead in improving combat readiness and set example to their troops in studying military affairs, wars and fighting tactics and make efforts to solve problems in five aspects(namely lack the abilities in judging combat situation, understanding superior intents, making combat decisions, deploying troops and dealing with emergencies). The examinations organized by the PLA Army for corps-grade commanders is a concrete measure to implement President Xi's instructions on strengthening training and combat readiness. To improve training, train generals first; to build a strong military, have capable commanders first. Realistic training is in full swing in the Army and more down-to-earth actions have been taken to improve combat preparedness. The examinations are for full corps grade and deputy corps grade officers in the Army. The main contents include command capabilities, basic military skills and doctrines and physical tests. The exams were organized in seven cities including Beijing, Fuzhou, Nan’ning, Lanzhou, Ji’nan, Urumuqi and Lahsa from March 21st to 22nd. About 200 corps-grade officers from operational, political, logistics, equipment and discipline inspection branches sat the exams for 8 consecutive hours each. They acted as campaign commanders, made operation plans and drew combat maps by themselves. Their military skills and strategies and mental strength and work style were all under scrutiny in the exams. The discipline and training supervision departments also oversaw the whole exams. For the second question, we have already issued a statement to express our firm opposition against the “China threat” hyped up by the US side. Currently, the China-US mil-to-mil relations are generally stable. Guided by the consensus reached by the heads of state of the two countries, we hope the US side will work together with the Chinese side to further strengthen strategic communication, institutional dialogues, and practical cooperation, and properly manege differences, so as to build the mil-to-mil relationship into a stabilizer of the overall China-US relationship. Question: On March 7th, CNN published an analysis entitled the Message to China behind Singapore’s US F-35 Jet Plan. The report said that as an ally of the US, Singapore’s decision to acquire the US F-35 is to deal with China. Singapore’s Ministry of Defense later refuted the CNN report, pointing out that Singapore is not an ally of the US. The acquisition of F-35 is out of its own defense needs, not for or against any particular country. Do you have any comment on this? Answer: In countless pieces of news, the first principle should always be authenticity. Question: Media reported that a navy aviation fighter jet crashed during training in Hainan Province, killing two pilots. Do you have any comments? Answer: On the morning of March 12, a PLA Navy aviation fighter jet crashed during a training exercise in Hainan province. To prevent civilian casualty on the ground, the two pilots, Ren Yongtao and Nian Jinxin, sacrificed their lives. Our hearts are broken for the loss of our fellow pilots, and we express deep condolences to their families. Life is the most precious thing to each person. Facing the choice between life and death, the two pilots put the safety of the people before their own lives. It is hundreds of thousands of these heroes who have forged the backbone of the People’s Republic. Their spirit last forever in our hearts. Question: You opened the press conference with an introduction to the multinational naval activities marking the 70th anniversary of the founding of the PLA Navy. What are the highlights of this event compared with last year's South China Sea maritime parade and previous naval fleet reviews? What ships will participate in the fleet review? Will China's aircraft carrier take part in it? Answer: We will release information on countries participating in the international fleet review in due course. As for what kind of Chinese equipment will participate in the international fleet review, the PLA Navy is making overall arrangement and we will also release relevant information in due course. Question: According to the Defense Ministry of Japan, Japan will send a ship to participate in the International Fleet Review. 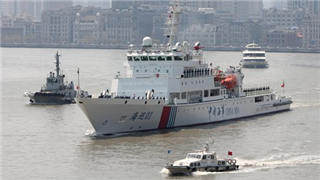 It is the first visit of Japanese ship to China in the past seven and a half years. Do you have any comment? Answer: As I said before, we will release information about the countries participating in the International Fleet Review. And I would like to make some comments on the China-Japan mil-to-mil relationship. China-Japan defense exchange and cooperation is an important component of China-Japan relations. The China-Japan relationship is back on the right track. We are willing to work together with the Japanese side to implement the important consensus of the two heads of state, continue to promote exchanges and communications between the defense authorities, properly manage differences and strengthen mutual trust. We would like to create favorable conditions for the further development of China-Japan relationship in the new era and also contribute to regional peace, stability, development and prosperity. Question: Recently, the Japanese Joint Staff Office (JSO) published a notice and photos about Chinese military aircraft over the East China Sea. We see from the photos that these two aircraft are a new type of fixed-win anti-submarine aircraft. Does the MND have any comment? 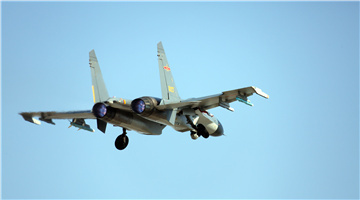 Answer: The operation of the Chinese aircraft is a routine arrangement in the annual training plan. Related parties should be surprised. Question: On March 26th, the United States conducted an alleged “milestone” missile defense test. The US Missile Defense Agency Chief said this proves the US has powerful and reliable deterrence against real missile threats. Given that the US has withdrawn from the INF Treaty, will this test accelerate the arms race among big powers? Are there any comment from the Chinese side on the test? Answer: The Chinese side regards missile defense as an important issue of strategic stability that matters on the trust between countries. It should be handled very carefully. Question: I have three questions. First, we noticed that the video clip entitled the Country and Frontier, which was broadcast at the MND Regular Press Conference before, entered the national cinemas this month. Mr. spokesperson, what are the considerations behind this move? Will there be more videos at the MND Regular Press Conference in the future? The second question: you just answered a question from an Internet user. I have a question that many Internet users care about. Do you have any good news about the domestic-made aircraft carrier? And the third question: pictures on the Internet show that China's 10,000-ton destroyer Type 055 has put up many colors on it. Does this mean that the Type 055 destroyer will be commissioned in the near future? Answer: I went to a cinema and watched the Country and Frontier. It is shorter than the original version online but I was still touched. I believe that people have to have some passions. A country can’t only have romantic stories and the military should always advocate the passion of serving the country. We are able to enjoy peace and tranquility because those in uniforms on the frontier spending their youth and sweat on protecting the borders. Their names may not be known, but their achievements last forever. As for the introduction of this video into movie theaters, I think the MND press release should not only be in this media hall, it should also be in theaters, on mobile phones, and in anywhere our peoples are. I'd like to give a forecast that the Country and Frontier will be broadcast on CCTV from tonight. We look forward to a greater focus on China’s national defense and on those true heroes who are protecting our country and our borders. On the second question, China’s second aircraft carrier is conducting various trials as planned and we are making steady progress. As for the commissioning date, it will be decided based on the progress achieved and the specific conditions of the trials. On the third question, the Type 055 destroyer is also conducting related trials. And I’m looking forward to the commissioning date the same as all of you. Here concludes today’s press conference. In the end, in this lovely spring, I wish all of you could enjoy the sights and sounds of spring and the prime of youth as well!